Recently Facebook launched a whole new chatting system which, well, plainly sucked. No longer were friends shown in groups according to lists you made but also only those friends were shown who you used to contact the most. Whether they were online or not! 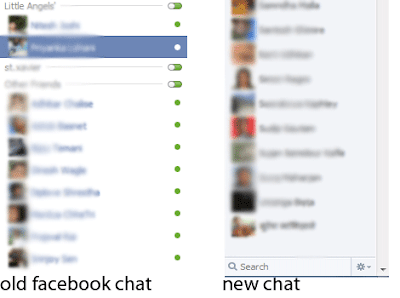 Although many users have been protesting this move, Facebook being Facebook has turned a blind eye, However its pretty simple to get back to the old chatting system, here’s how. FireFox users just go here and download the add-on. If it does say ‘This add-on has not been reviewed by Mozilla ‘ just click on it and click again on the Add to FireFox button. That’s it, restart it and you are good to go. For Google Chrome users, download this app and just refresh the Facebook page (by pressing F5) and your done. Opera users need to download this add-on. And that’s it! Using this method, although you will get the interface of the old chat back, still the underling chat system would be that of the new one. So expect some of those stupid problems to last.